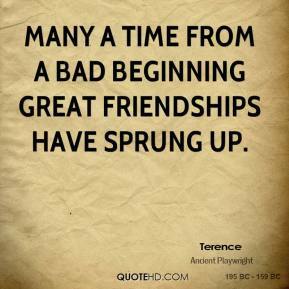 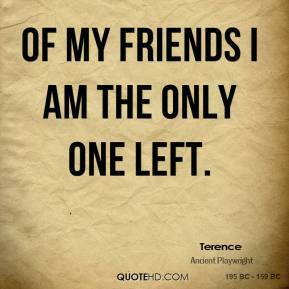 Of my friends I am the only one left. 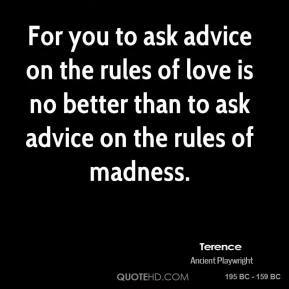 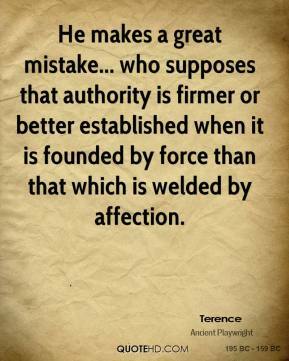 He makes a great mistake... who supposes that authority is firmer or better established when it is founded by force than that which is welded by affection. 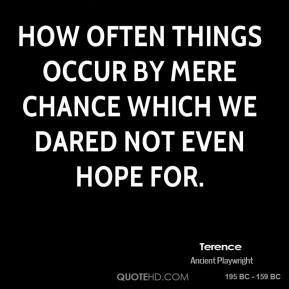 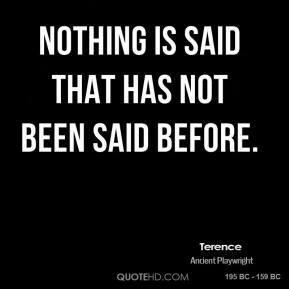 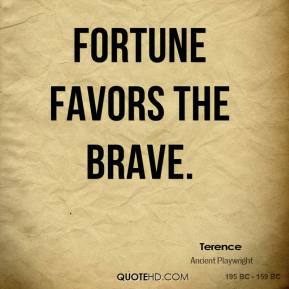 How often things occur by mere chance which we dared not even hope for. 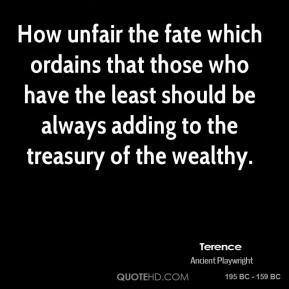 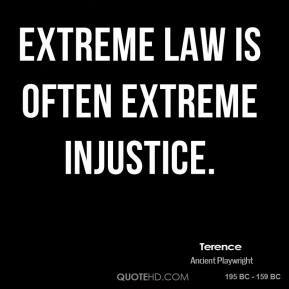 How unfair the fate which ordains that those who have the least should be always adding to the treasury of the wealthy. 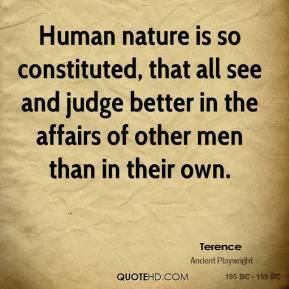 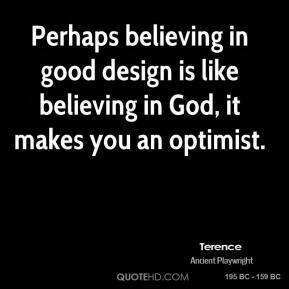 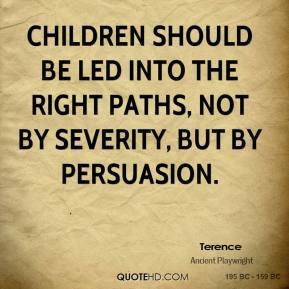 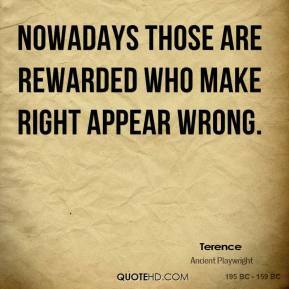 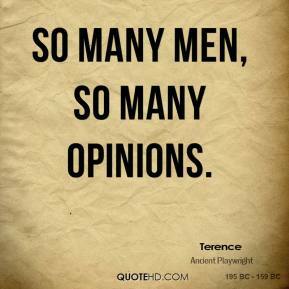 Human nature is so constituted, that all see and judge better in the affairs of other men than in their own. 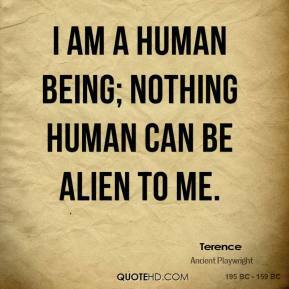 I am a human being; nothing human can be alien to me. 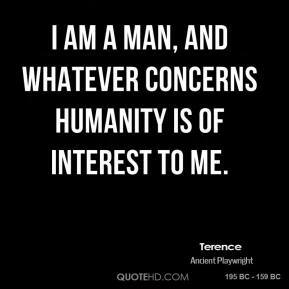 I am a man, and whatever concerns humanity is of interest to me. 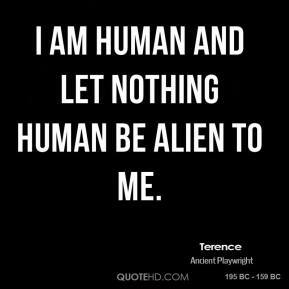 I am human and let nothing human be alien to me. 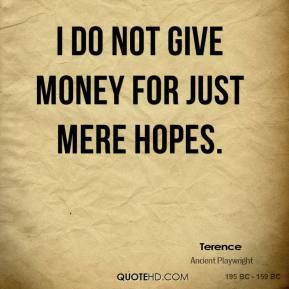 I do not give money for just mere hopes. 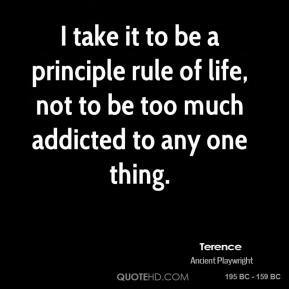 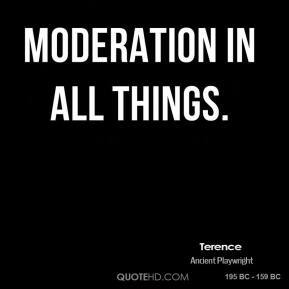 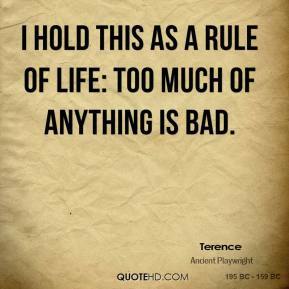 I take it to be a principle rule of life, not to be too much addicted to any one thing. 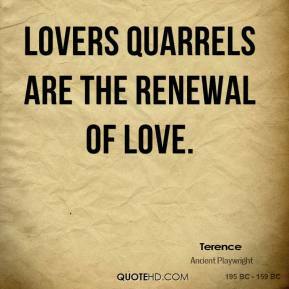 Lovers quarrels are the renewal of love. 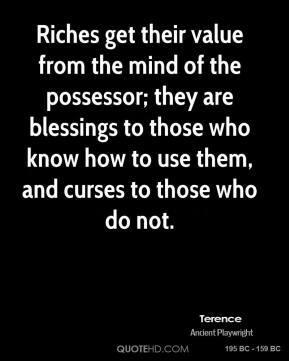 Riches get their value from the mind of the possessor; they are blessings to those who know how to use them, and curses to those who do not. 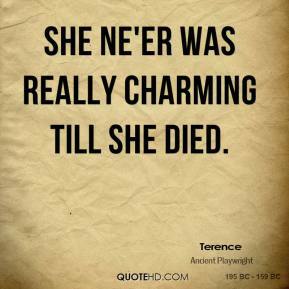 She ne'er was really charming till she died. 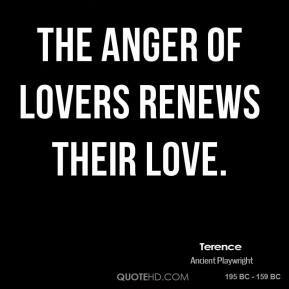 The anger of lovers renews their love.